My name is Torin Berge and I have the privilege to be one of the therapists at the Hruska Clinic™. I started here in July of 2011 after spending about the previous 10 years living in Minot, North Dakota. I was born and raised in Colorado Springs, CO, attended the University of North Dakota in Grand Forks where I was a member of the Fighting Sioux swim team prior to attending Physical Therapy school there. I graduated with my PT degree in 1999 and embarked on my career as a PT. I felt early on that my experience in PT school was just the foundation of how to be a PT but never really answered the question “Why?” I wanted to know why certain people had dysfunction and pain, why certain people would succeed with PT and why some wouldn’t. At my first job as an outpatient PT in Sioux City, IA, I was lucky enough to work with a few PTs who strongly recommended Postural Restoration Institute®(PRI) courses to me. My first taste of PRI was a one-day Protonics in-service in late 2000 by James Anderson. He was the first who could actually answer the question “why” and I was hooked. I have since attended numerous PRI courses and have continued to grow in my utilization of the theory and am constantly challenged and blown away by the beauty and power of the human body, brain and our ability to have powerful influence on it for the better. When the opportunity to work at the Hruska Clinic™ came up my wife Leslie, who is also a PT trained in PRI, and I decided that there is no better place to work to be able to treat patients as a whole person, to be able to answer their “why” questions, and be the type of PT that I aspire to be. I look forward to the opportunity to continue to grow and learn from some of the best PTs around. I earned the distinction of a Postural Restoration Certified™ (PRC) therapist through the Postural Restoration Institute and look forward to my ability to be able to spread and grow the science of Postural Restoration® here in Lincoln and beyond. Over the last few years I have been excited to help grow our PRIME program here in Lincoln that takes the expertise of PRI PT and integrates the often needed expertise of other professionals into a seamless program that has been able to help people from all across the globe. On a more personal note I am married, Leslie, who I met as a graduate assistant in the gross anatomy lab while in PT school. It’s a long story, but yes, we met over a dead body. We married in 2001 and life has been nothing but an adventure ever since then. 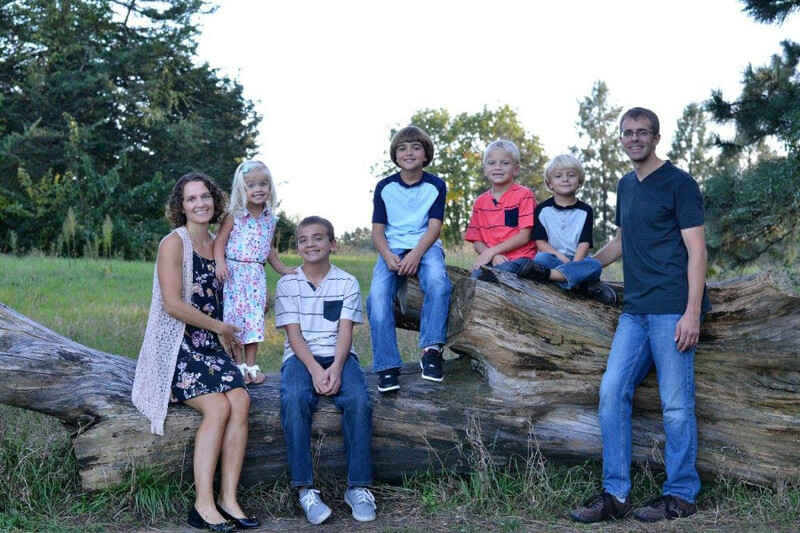 Leslie currently has been able to stay home and take care of our 5 children; boys, Carter, Quinn, Bailey, and Charley as well as our youngest daughter Mattea born in December of 2014. She has been a great support for me and is definitely the glue that holds our family together. We enjoy spending time outside as a family whether at the zoo, on a bike ride, at the lake or swimming pool, or just in the backyard. There is not much quiet time around our house anymore but we feel extremely blessed with all the gifts that have been given to us.